If you live in the US, then you almost certainly know who Doctor Oz is – or at least you’ve heard of him. Even if you’re not, there’s a pretty good chance you might know a thing or two about him. But do you know that some (if not all) of the products he promotes on his shows and markets as “miracle cures” are little more than shams? Promoting miracle cures? Yikes! That sounds like TV mumbo jumbo, not something a bright medic would prescribe – yet that’s exactly how dr. Oz described some products. Surely, you might say, he’s simply overreacting the scientific benefits of the products. But those scientific benefits seemed to have been fake all along, as a study on Green Coffee Extract has been withdrawn. 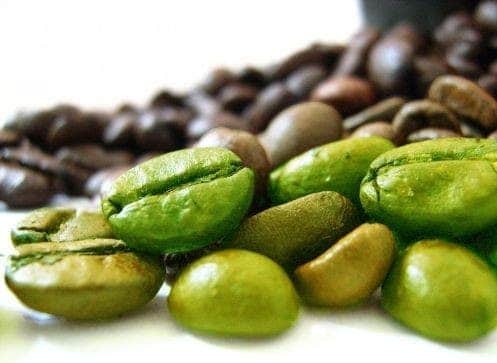 AFS paid researchers in India to conduct a clinical trial on overweight adults to test whether Green Coffee Antioxidant (GCA), a dietary supplement containing green coffee extract, reduced body weight and body fat. Green Coffee is not so magical afteer all. Now, this is where it gets a little dicey. Did Oz not check the facts close enough? Surely it would take an experienced medic little more than a diagonal glimpse on the study to realize the claims and results are bogus. But to present these results on national television and with such appraisal, the results should have at least been thoroughly double-checked, which he clearly didn’t do. So are we dealing with something else here? Was he trying to use his show for promotion? The thing is, Oz didn’t make any money from this – not directly, anyway. The companies simply used him and his show to promote their own products – he argued (and if there is not a bigger, underlying plot, he’s right) that he is also a victim. But if this is the case, then he’s a victim of his own misrepresentations which got him here in the first place. But I have my doubts; how could an educated man tout a “staggering newly released study” that showed participants lost an “astounding” amount of fat and weight … by doing absolutely nothing except taking the supplement? Again, that sounds like marketing, not like medicine. But either way, Oz has to learn from this. As the Senate committee pointed, he does a lot of good with his show – he offers valuable information in a simple and attractive way. People like him, and more importantly, people trust him. If he deliberately misled his viewers, this is inexcusable. But even if he simply didn’t check the facts and chose to present them as “magic”, I think people should rethink doctor Oz’s position as a trustworthy TV host.